A new species of tick has been found in North Carolina, raising the need for greater awareness of its presence and tick prevention options for humans, pets and livestock. The Longhorned tick was found on a possum in Polk County. The species had previously been identified in New Jersey, Virginia and West Virginia. NC Ag Commissioner Steve Troxler updates us on the latest with this new invasive species. Lately, it seems like I have become somewhat of an unintended spokesman for tick awareness. Since I’ve developed a red meat allergy from a bite from the Lone Star tick, I have been asked about ticks a lot lately. But today, I want to talk about the Longhorned tick, a new species that was found in the state for the first time that poses a threat to livestock, humans and pets. The Longhorned tick was discovered on a possum in Polk County. Previously, it had been identified in New Jersey, Virginia and West Virginia. If it is one thing we know about animals, bugs and diseases, it’s that none of them have any awareness of state lines or boundaries. Our Veterinary Division is working to raise awareness about this new tick species along with tick prevention options. The good news is this species responds to chemicals used to control other common species of ticks on pets and livestock. 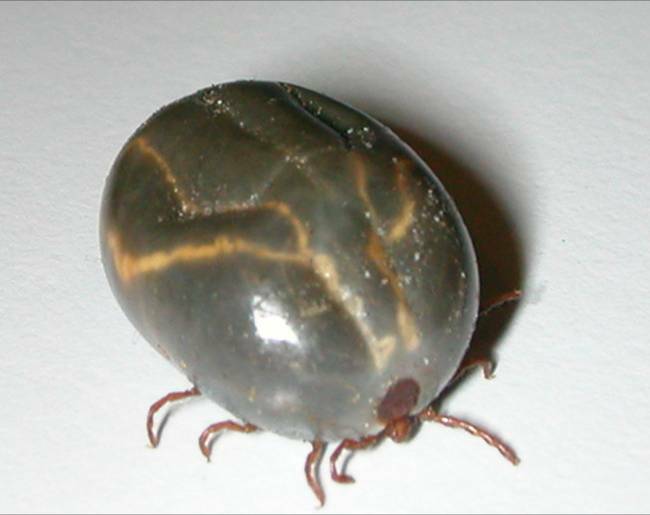 The Longhorned tick is an exotic East Asian tick and in its native region, it is known to be a serious pest to livestock. It is an aggressive biter and frequently builds intense infestations on domestic hosts leading to stress, reduced growth and production, and blood loss. The tick can reproduce without a male, so a single female tick can create a population. Livestock producers are advised to keep a watch for ticks on their animals and to consider tick prevention to protect them. Our Veterinary Division is working with the N.C. Division of Public Health to help better understand the distribution of this and other tick species in the state. Veterinarians are being asked to send six (6) ticks they find on patients to Public Health to ID ticks in all 100 counties of the state. There are some steps humans can take to minimize their risk to tick-borne illnesses. Shower immediately once you return home from the outdoors. Also, check your body for ticks. Use DEET and other EPA approved repellants while outdoors.